The same company that brought you award-winning carpet cleaning services also offers air duct cleaning services to keep your home fresh and allergen-free! KIWI Services provides full-service and vent-only air duct cleanings for your convenience. Best of all, KIWI’s Texas City air duct cleaning services are guaranteed for two years. Over time, air duct surfaces collect dust, particles, and build-up on the crevices of your air duct system. Particles blow through the system and end up in your home, compromising your indoor air quality. 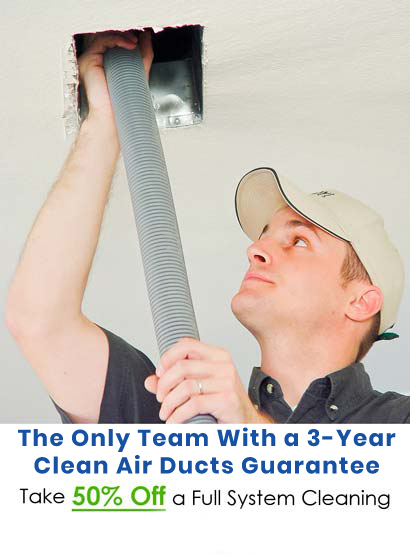 KIWI Air Duct Cleaning services in Texas City, Texas provide all of your air duct needs and offer options in cleaning, including vent-only cleanings and full-system cleanings. 1. When and how often should I get an air duct cleaning in my home? You should consider a professional air duct cleaning if: there is visible mold in the system and/or it has been tested for mold and found positive. Sometimes replacements are necessary if this happens. Contact a professional if you are unsure. Also, rodents can cause damage to ducts. 2. How do I decrease the frequency of air duct cleaning? The EPA recommends preventing moisture from entering the system. Holes allow moisture and water to enter the system and these can be caused by rodents or improper installation. By calling a professional Texas City air duct cleaning professional, you can prevent these problems and improve your indoor air quality. 3. How can I determine if my air ducts need cleaning? Sometimes you can tell just by looking. Look for holes, dirt, or any kind of break in the system. These are all indicators that it’s time for a cleaning or repair. Broken or poorly maintained systems can cause dust and allergens to enter your home. Schedule an appointment today with KIWI air duct cleaning in Texas City in order to determine if your air ducts need a full cleaning.